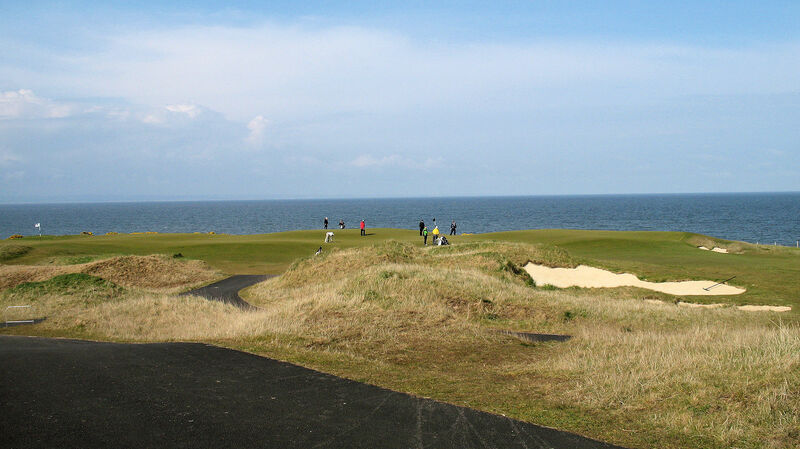 The Castle Course is, still, the newest addition to the St. Andrews Links Trust managed courses. 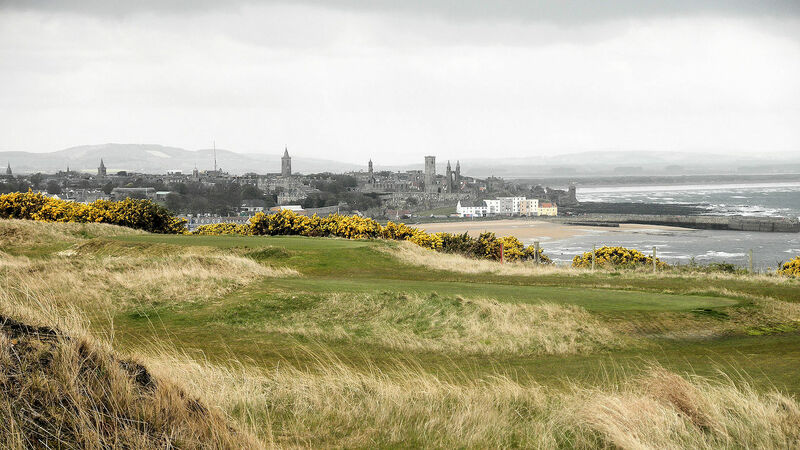 The Castle Course is located a short distance from St. Andrews and overlooks the castle-side of town. 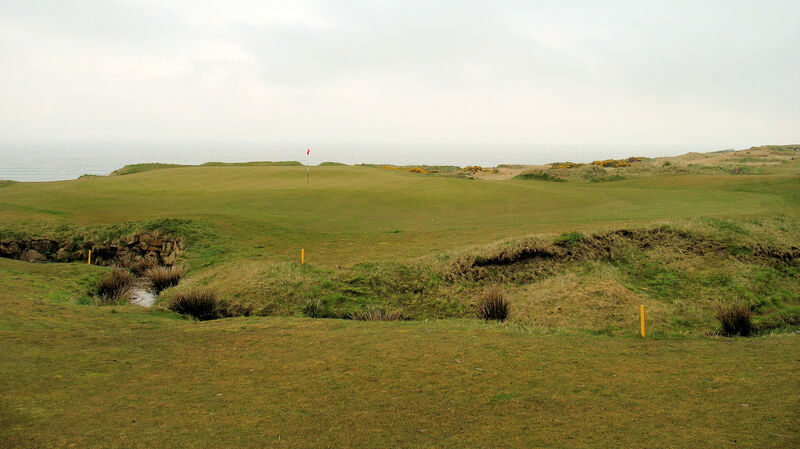 The course is built upon land used for grazing/farming and has views of the sea and town from most holes. 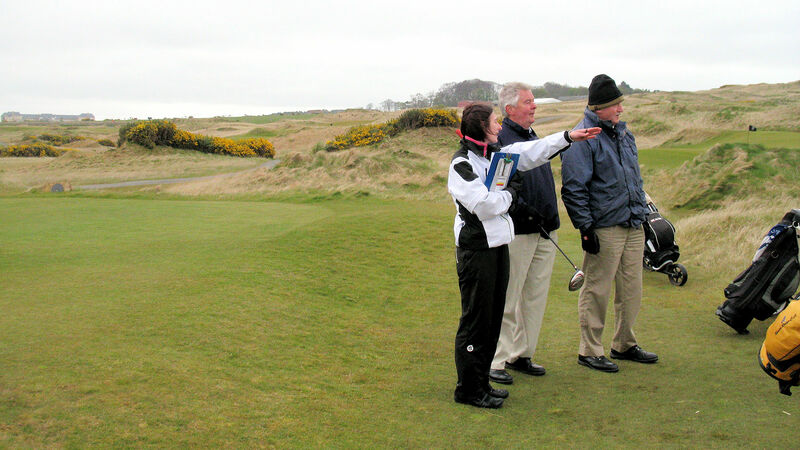 In 2007, we were fortunate to walk the under-construction course during our April 2007 visit to St. Andrews. The course was open for play mid-2008 and, in November 2008 the Castle closed for the winter and Scottish winter-time course maintenance/re-shaping, etc. It re-opened on April 1, 2009 for the 2009 season. 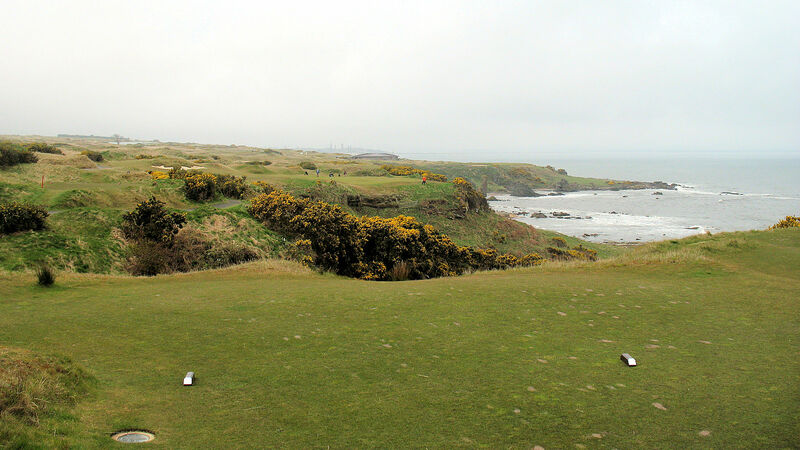 and in April, 2009 (two years from our first walk around the course area) we were fortunate to play The Castle Course. Both of the above visits (of course) resulted in photos that I have placed on the Web and some people have viewed. In April 2012 we were, again, fortunate to visit St. Andrews and the Links Trust courses - with the Castle Course being a major part of our enjoying the three week's stay at St. Andrews. I have to mention, about such a stay, that the Links Trust 7-day Ticket and their 3-day Ticket is, in my view, a prime example of public golf sharing its wealth with others. 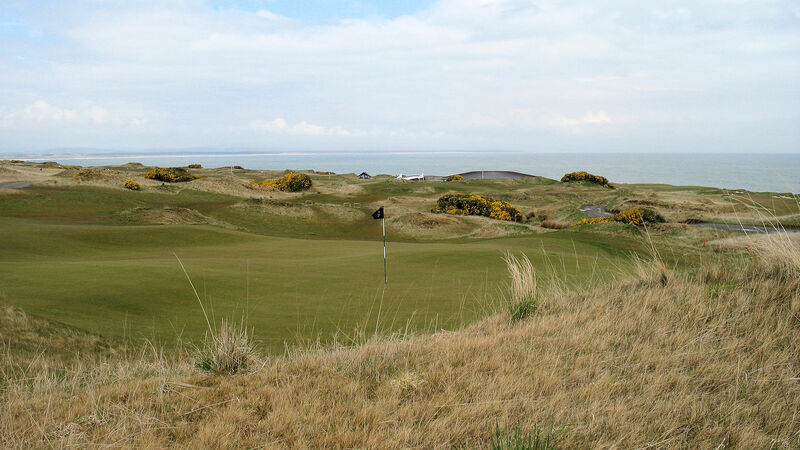 I appreciate that the Links Trust has made the Ticket's "affordable"/available to us and I encourage any golfer considering a trip to Scotland to use the 7-day or 3-day Ticket. 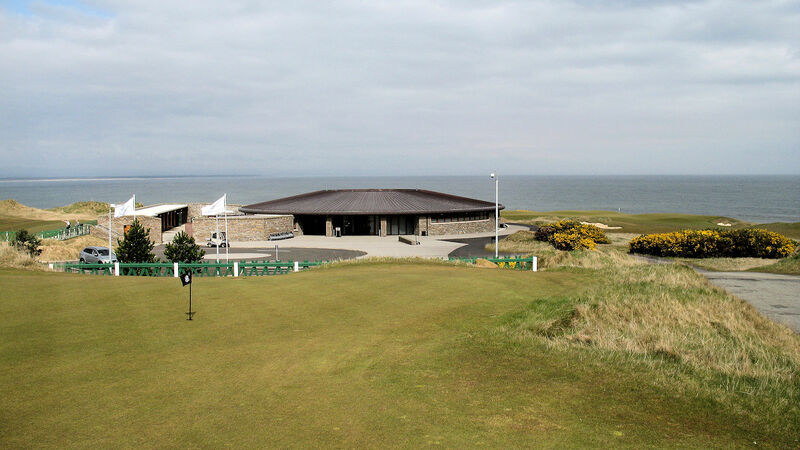 This may sound like a publicity comment - but, it is not: I can only hope that the Links Trust continue the Ticket program until my next visit to St. Andrews! I assume that the Ticket program will remain if a sufficient number of golfers participate; that, is why I mention it here. I want the program to remain in place!!! I am not a camera/photo-expert; the photos are taken using a mid-price-range 3-year-old digital camera. Your camera is probably superior! 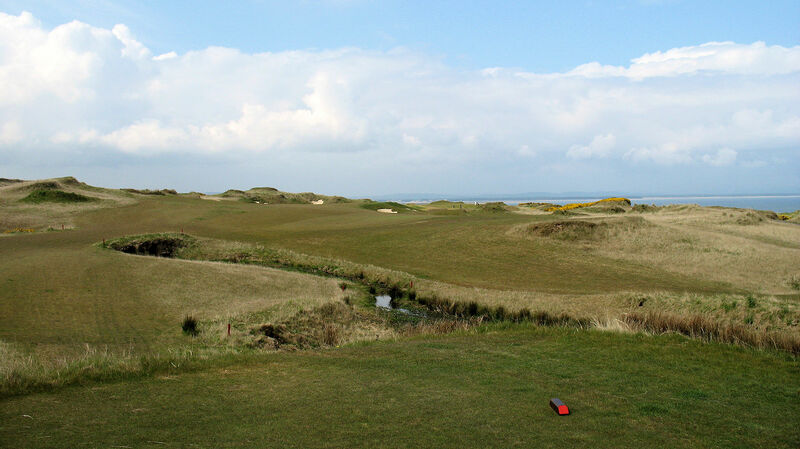 If you have photos of the Castle Course or any of the St. Andrews' courses that you could point me to - I would love to see them. Looking Back Down The 10th Hole: A beautiful par 3. From here, it is apparent why staying right off the tee was Ok! Approaching onto the green from there may end up on the correct level of this sloped green. The Green Area of the Near-perfect Par-4 14th. The Green Area of the Par-5 15th. A beautiful view - of a challenging-to-hit green. By now, hopefully, you are enjoying the round and not minding your score! following the service road. Enjoy the views and other player's shots. I do that, next time we visit Scotland. Don't worry... I will stay on the service road while walking and not bother the players! Sounds great, to me. Enjoy this view - on your way to the Yellow or Red Tee. The tee shot requires a full carry over the "grand canyon". The multiple tee locations are welcome and invite a lot of variety to the player. A "bailout" area is provided to the left of the green; however, the bunkers come into play if you take that path. A Drop Zone is available in front/left of the Forward Tee (left side of this photo). A five from there will be welcomed by many players. 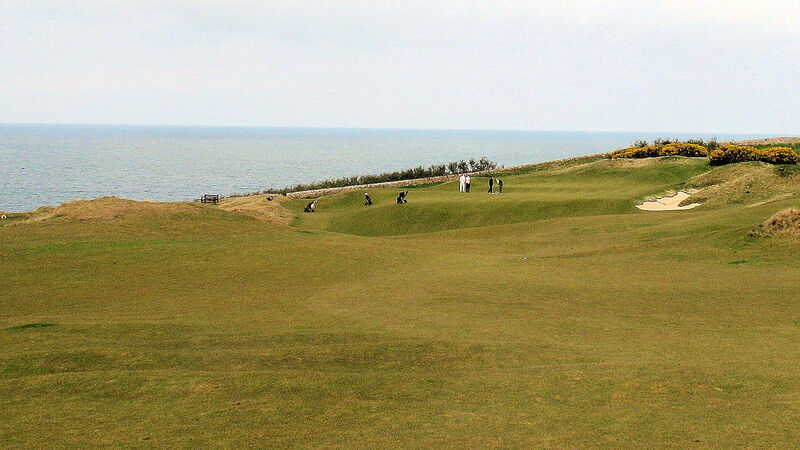 St. Andrews Links - Castle Course - Front Nine, April/May 2012 . 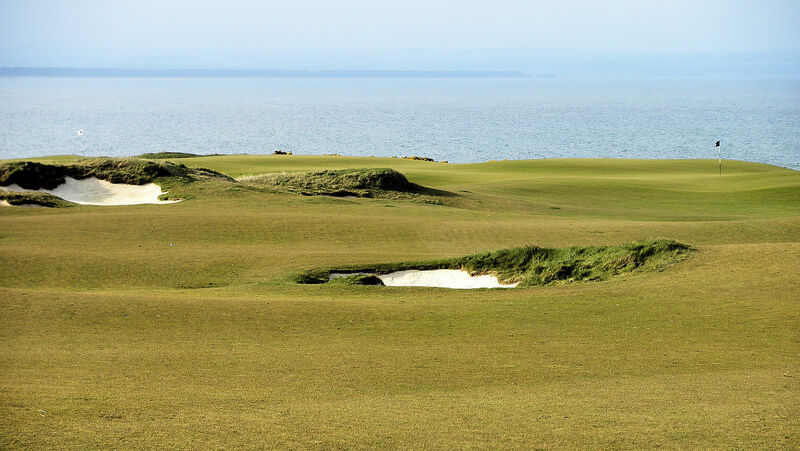 St. Andrews Links - Castle Course - Back Nine, April/May 2012 .